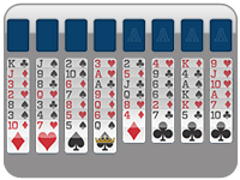 Love Freecell and want to keep playing the same basic game but just with a little more difficulty!? Look no further than Three Freecells. 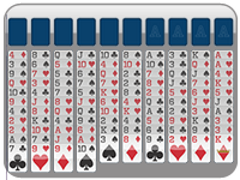 This amazing freecell card game still has over a 99 percent chance of solving the puzzle each time, but you will only have three open free cells to work with the entire game, instead of four in basic freecell. 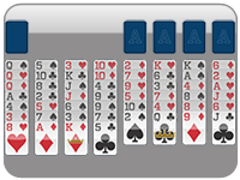 Play 3 Freecells just as you would play Classic Freecell. 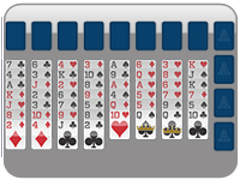 Place all the deck of cards into the upper foundations based on suit from Ace to King to win. Move cards around in the tableau to accomplish this feat. You can build downward alternating colors of cards. Beware though, you may only move the number of cards corresponding to the number of free cells open plus the number of foundation slots open plus one. 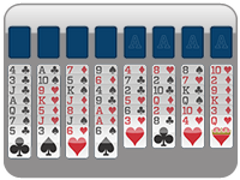 Master this fun card game and try your hand at Two Freecell! Instead of four free cells, play with three! 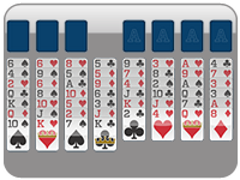 this version of freecell is still winnable over 99 percent of the time! 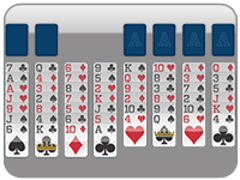 Play the game like classic freecell. All the rules are the same!